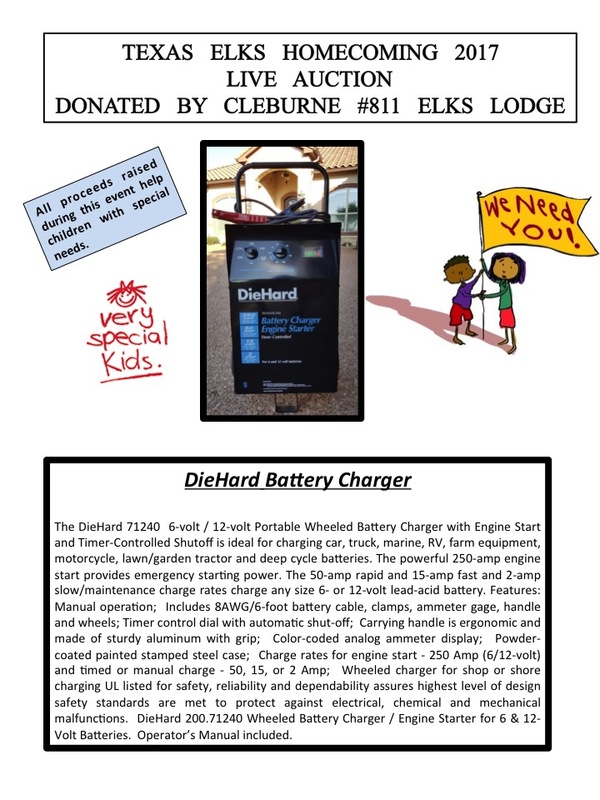 The DieHard 71240 6-volt / 12-volt Portable Wheeled Battery Charger with Engine Start and Timer-Controlled Shutoff is ideal for charging car, truck, marine, RV, farm equipment, motorcycle, lawn/garden tractor and deep cycle batteries. The powerful 250-amp engine start provides emergency starting power. The 50-amp rapid and 15-amp fast and 2-amp slow/maintenance charge rates charge any size 6- or 12-volt lead-acid battery. Features: Manual operation; Includes 8AWG/6-foot battery cable, clamps, ammeter gage, handle and wheels; Timer control dial with automatic shut-off; Carrying handle is ergonomic and made of sturdy aluminum with grip; Color-coded analog ammeter display; Powder-coated painted stamped steel case; Charge rates for engine start – 250 Amp (6/12-volt) and timed or manual charge – 50, 15, or 2 Amp; Wheeled charger for shop or shore charging UL listed for safety, reliability and dependability assures highest level of design safety standards are met to protect against electrical, chemical and mechanical malfunctions. DieHard 200.71240 Wheeled Battery Charger / Engine Starter for 6 & 12-Volt Batteries. Operator’s Manual included.